The ImageCenter ADS-2000e Desktop Scanner offers powerful features for your small to mid-sized business. 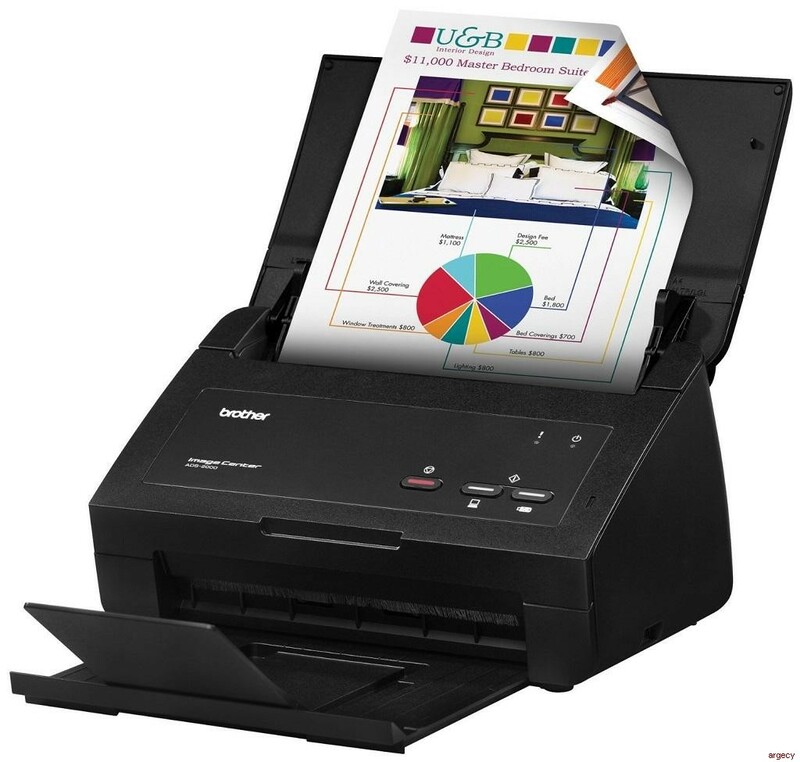 Using the 50-page capacity auto document feeder, this scanner is able to capture single and double-sided documents in a single pass at speeds of up to 24ppm, making it perfect for scanning multi-page, two-sided business documents, as well as single-page documents up to 34" long, receipts, business cards, photographs, and plastic cards. Easily scan to a wide variety of destinations, including email, file, image, OCR, print, USB flash memory drive, and Android phones and tablets. The ImageCenter ADS-2000e boasts various integrated image optimization features, including multi-feed detection, background removal, blank page removal and deskew support. It also includes a robust suite of scanning software, including PDF editing, desktop document and business card management programs. Plus, The ImageCenter ADS-2000e is compatible with Kofax VRS. An industry leader in image processing software, Kofax VRS dynamically evaluates each scanned page and automatically applies the correct image quality settings for maximum output enhancement, making the ADS-2000e the complete scanning package for your small to mid-sized business. Compatible with Kofax VRS versions 5.1 and up. Windows only. Additional purchase required.